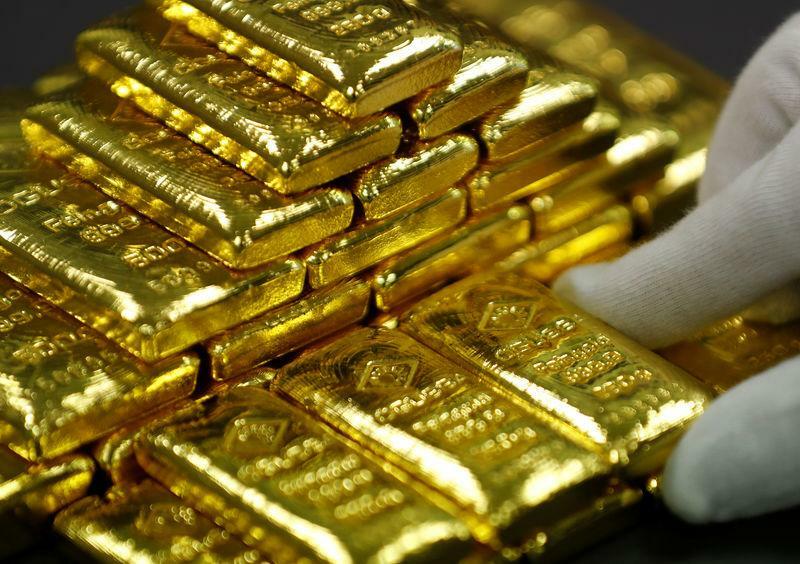 (Reuters) - Gold rose on Friday as a gloomy global economic outlook dented risk appetite, but a firm dollar stemmed bullion's advance and kept the metal on track for its first weekly decline in three. "The fact that the U.S. economy is not seeing weak data like the euro zone is supportive of the dollar. If the dollar was a little weaker today, gold would probably be up $7 or $8, instead of $3." U.S. President Donald Trump said on Thursday he did not plan to meet with Chinese President Xi Jinping before a March 1 deadline set by the world's two largest economies for a deal. However, holdings in the world's largest gold-backed exchange-traded fund, the SPDR Gold Trust, have fallen more than 1 percent for the week. Spot silver gained 0.5 percent to $15.79, while platinum was up 0.1 percent at $796.50.